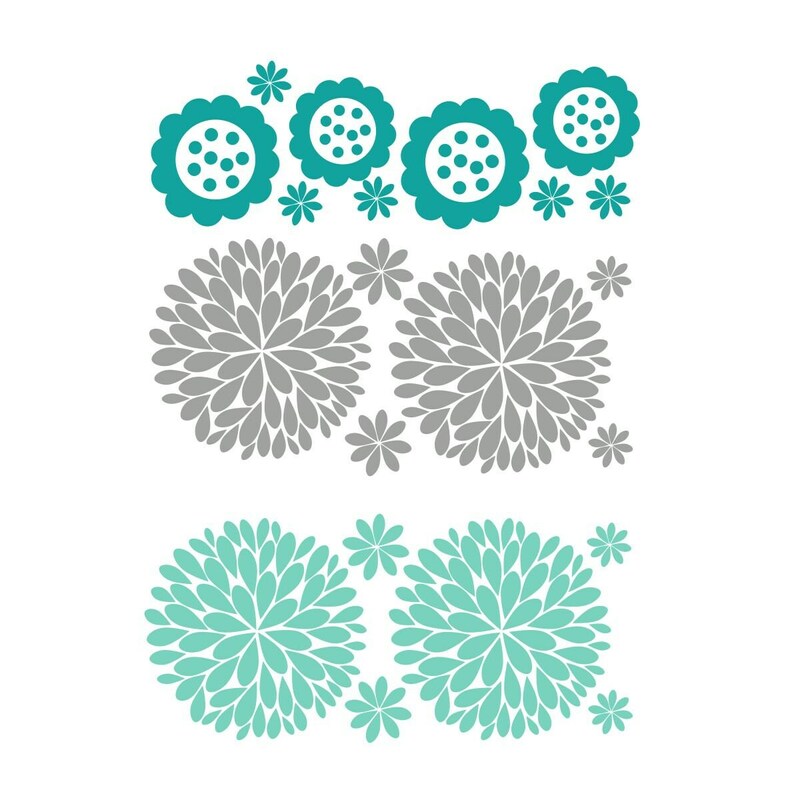 This is a super fun flower decal package. My dahlia flower wall decals continue to be one of the most popular items in my Etsy shop and for this package I've paired the dahlia flower with a fun flower and let you choose three colors. I have this set in my closet and it makes me so happy every time I enter. 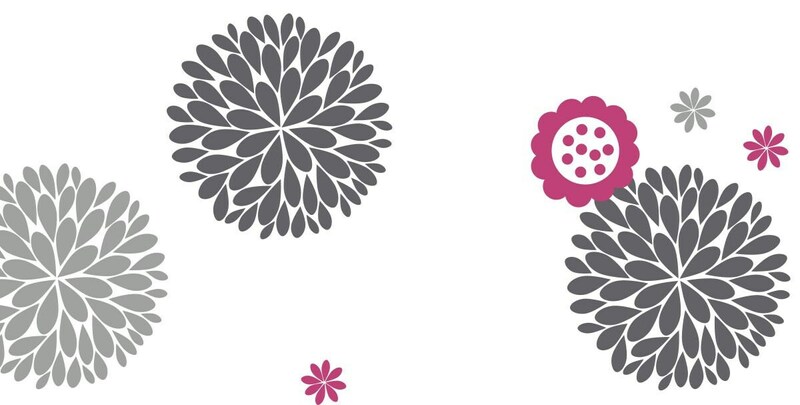 Simply cut around each flower and apply to the wall. It's the easy & affordable way to add designer style to every space in your home. Like my Decorate With Decals Facebook page to see more beautiful room views. • SIZE: Package includes 21 Flowers. 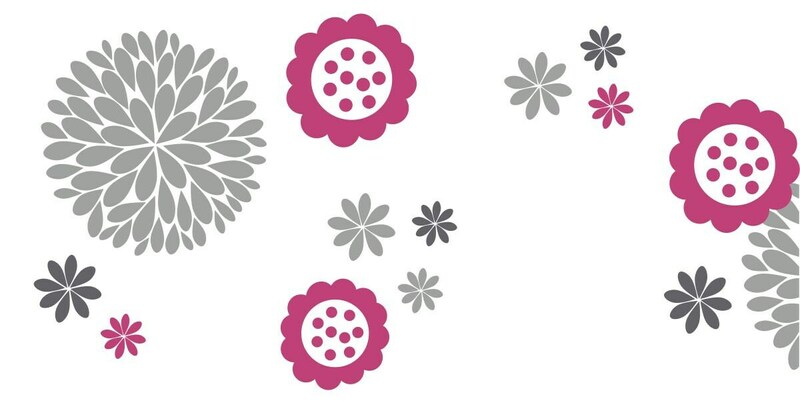 4 - 10" flowers (choose two colors), 2 - 6" flowers, 2 - 5" flowers and an assortment of 2 - 3" daisy flowers. 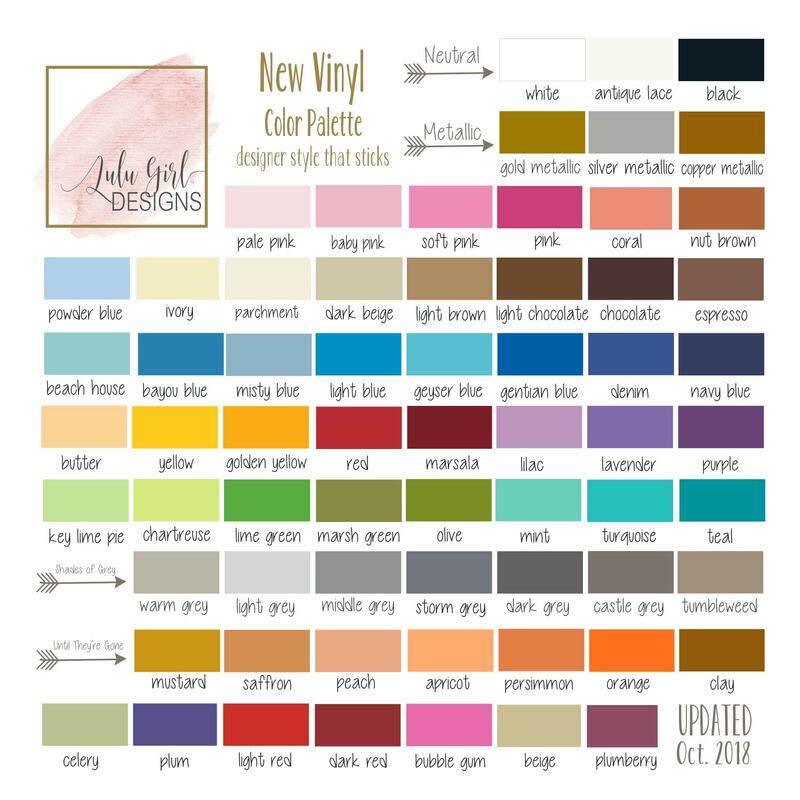 • OPTION: Choose up to THREE home décor vinyl colors from the palette shown above. 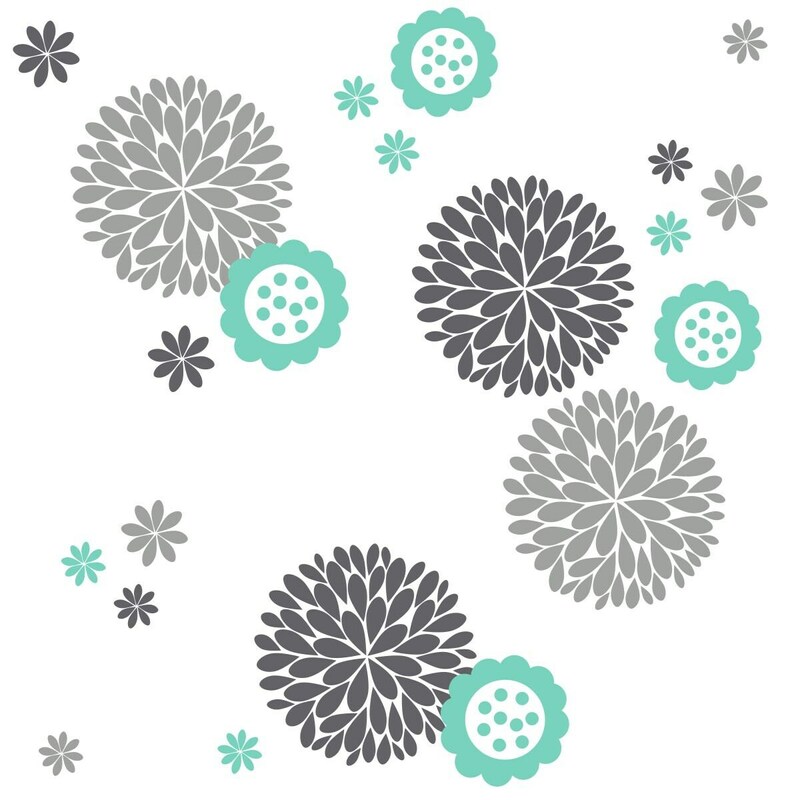 Design shown in combinations of middle grey, dark grey, & pink OR middle grey, mint, and turquoise. Every decal package includes a squeegee application tool, at least one tweet little bird test decal and easy to follow instructions. In additional to my original designs, I do initials, monograms and custom lettering. I have what you need for the new baby nursery and toddlers room. I have great stuff for cool tweens, hip teens, and dorm rooms. Decals let you make special gifts for teachers and friends or update the look of your dining room, kitchen, bed, bath or wedding. Custom designs are my specialty and I would love to work with you. I am happy to resize designs to fit your space, tweak designs to your vision or maybe even start from scratch if it's not on my drawing board. I would love to make your decorating dreams come true. And I'm all about personalizing everything, from the baby's nursery to the teachers gift. If you have a favorite saying, quote or Bible verse that you'd like to see written on the wall, let me know because I love to play with the beautiful fonts that are available today. Etsy shoppers are my greatest design resource. Like many Etsy sellers, I am a home studio. Special care and attention is given to every decal I make. Each design is custom cut when ordered and usually ships within 3 - 5 business days. Orders within the US are sent by US Priority (2-3 day delivery) Mail. International orders, including Canada are shipped by 1st Class International Mail. Express Mail & Global Priority is available for an additional charge. Please contact me for pricing. I appreciate your business and want you to love your decal(s). It was my pleasure to create a decal exclusively for you and it should make you smile. Decals are easy to apply however an occasional "ooopps" can happen during the application process. Please contact me and privately and we will work through it together to get that smile back on your face.